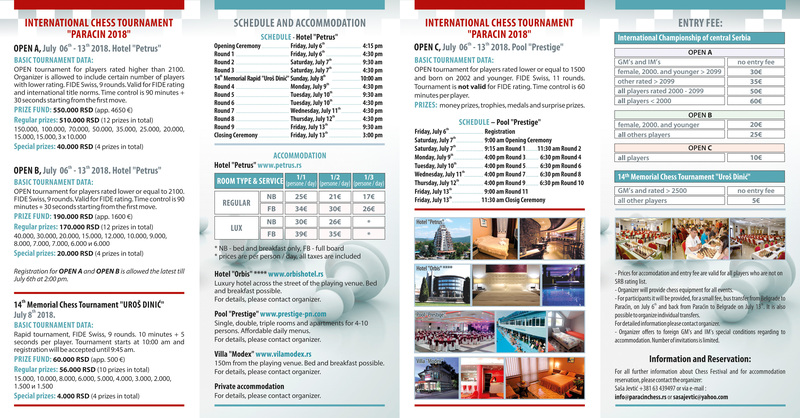 Paracin Open will be held from-July 6th -13th 2018 at Hotel “Petrus” in Paracin. It will be divided in 3 sections. In the A group are expected 150 players. OPEN tournament for players rated higher then 2100. Organizer is allowed to include certain number of players with lower rating. FIDE Swiss, 9 rounds. Tournament is valid for FIDE rating and international title norms. Time control is 90 minutes plus 30 seconds cumulative increment for each move starting from the first move. 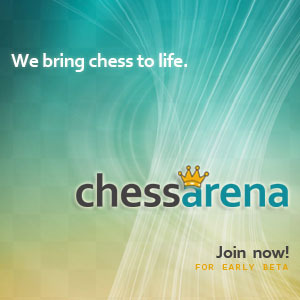 OPEN tournament for players rated lower and equal to 2100. FIDE Swiss, 9 rounds. Tournament is valid for FIDE rating. Time control is 90 minutes per player plus 30 seconds cumulative increment for each move starting from the first move. 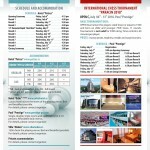 Registration for Open A and Open B is allowed the latest till July 6th at 2.00 p.m.